A Medical Practice can be a busy place. Their are patients coming and going, errands being run, Doctors and assistants coming and going, appointments being made, cancelled and rescheduled, and billing being felt with. So where does a medical practice office cleaning come in? In the morning before you open? After the last patient leaves before you go home? The best bet is to have an outside crew come in after hours so your staff doesn’t have to worry about it at all. Most independent medical practices are specialists. They have a speciality that they know better then most people do. They have trained for it. There are nurses and assistants that have trained for their jobs. There is office staff that has trained for their job. Don’t you want that same level of training and competency to come from the cleaning? If you are a Podiatrist, you wouldn’t see a patient that needs an Orthopedic specialist. So why would you expect your receptionist to know the latest in sanitization of surfaces or disinfectants? Get a professional if you want the job done professionally. Do You Want to Store Those Chemicals? Speaking of disinfectants, There are a lot of different chemicals use to sanitize surfaces and equipment in your office. Other chemicals are used for floors, and waiting room furniture. These chemicals can be expensive, and dangerous if you don’t store them properly. Do you really want to keep a supply of them in your office? Do you want to keep track of usage and supply? 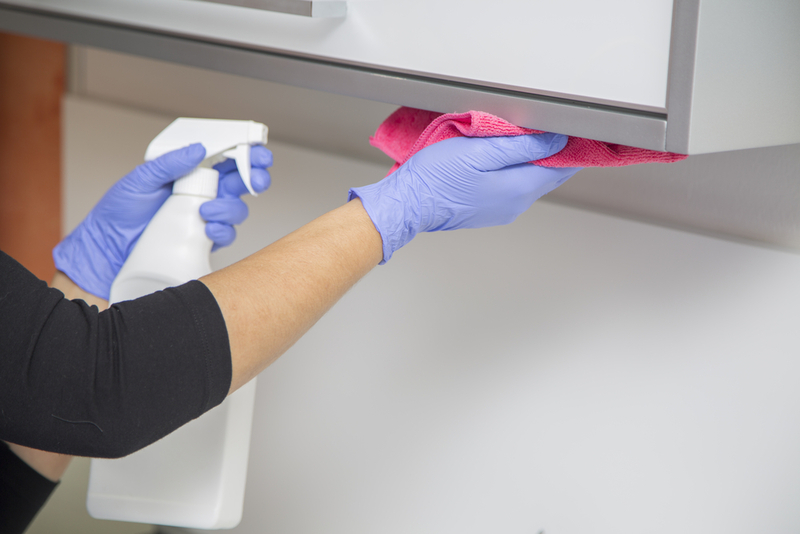 If you hire a professional cleaning service, they will bring the correct chemicals with them, and take them back to their office when they leave. This is better and safer for everyone. Nosocomial infections are all over the news these days. Most of these can be eliminated with proper cleaning techniques. If your medical practice office cleaning is left to a staff of trained professionals, the chances that your clients will acquire a hospital borne infection is greatly reduced. Our guess is, you do what you do to make people better. So why risk improper cleaning that might make them sicker? A clean environment means less chance of infection, and less chance of infection means happier, healthier patients. You have a great staff. They are good at what they do, and you should know: you hired them. But you didn’t hire them for their cleaning abilities. If you make your staff clean up before the first patients show up, then they are doing a job they aren’t trained for, when they aren’t fully awake. If you make them clean up at the end of the day, then they are doing a job they aren’t trained for when they are tired and want to go home. Either way, you will likely not get the best possible performance out of them. Leaving you medical practice office cleaning to a professional crew like the ones at Summit janitorial will make your staff happy, because they know that the job is done right, and they didn’t have to try to do it themselves.